If everyone with a smartphone can be a citizen photojournalist, who needs professional photojournalism? This rather flippant question cuts to the heart of a set of pressing issues, where an array of impassioned voices may be heard in vigorous debate. While some of these voices are confidently predicting photojournalism's impending demise as the latest casualty of internet-driven convergence, others are heralding its dramatic rebirth, pointing to the democratisation of what was once the exclusive domain of the professional. Regardless of where one is situated in relation to these stark polarities, however, it is readily apparent that photojournalism is being decisively transformed across shifting, uneven conditions for civic participation in ways that raise important questions for journalism’s forms and practices in a digital era. 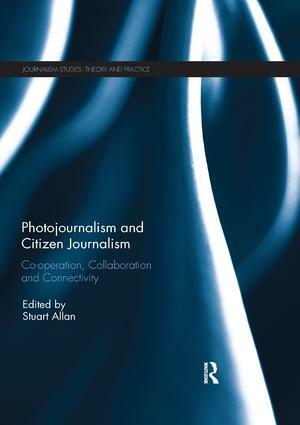 This book's contributors identify and critique a range of factors currently recasting photojournalism's professional ethos, devoting particular attention to the challenges posed by the rise of citizen journalism. This book was originally published as two special issues, in Digital Journalism and Journalism Practice. Amateur Photographs as Visual Quotes: Does the rise of amateur photography lead to fundamental changes in the news media?